Do it yourself and get your analysis in an instant! 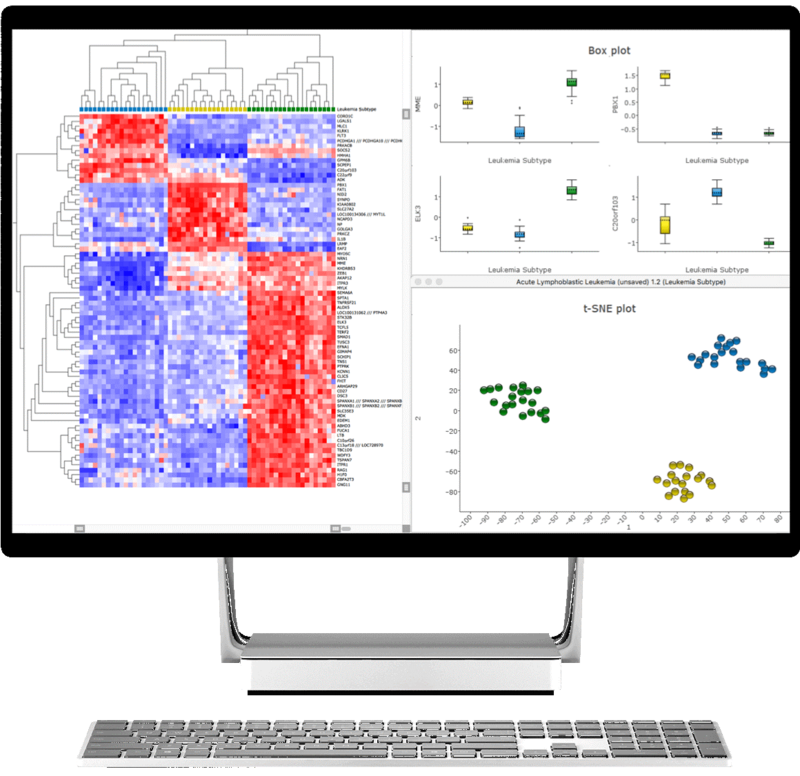 Qlucore Omics Explorer is so easy to use that you no longer have to depend on an expert in bioinformatics to explore and analyze your Omics and NGS data sets. The release includes the completely new Template functionality for scripting work-flows in Python and an extensive upgrade to all 2D plots. Imagine this with your own data! 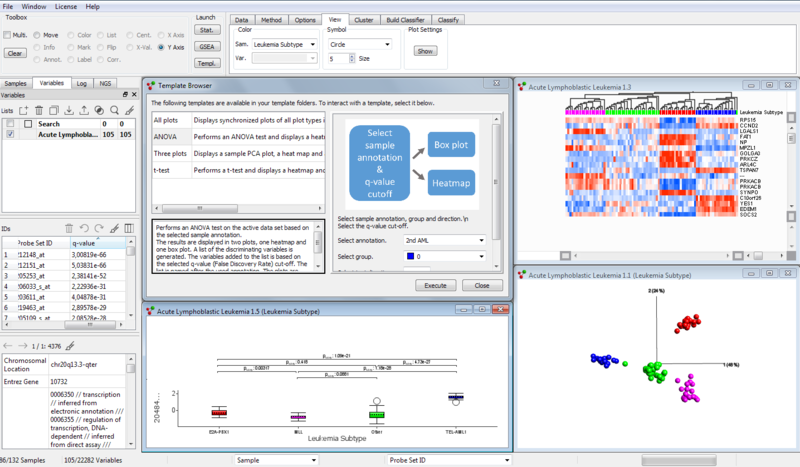 Qlucore Omics Explorer provides among many other analyses a very fast and efficient way to identify patterns and structure when exploring data. Try on your own by moving the slider below. Try on your own by moving the slider above. "With Qlucore, you can see how things are changing in real time when you set a p-value cut-off for statistical analysis. Also it's flexible, so you can run custom R scripts if required." "Qlucore enables very rapid and intuitive data analysis. By that scientists themselves are doing advanced bioinformatics analysis." "Qlucore allows me to do analysis on my own. There are things that I know are biologically relevant that I can check on the fly." "Qlucore is a really great way to explore large data quickly." Does it work on my data? Answer the four quick questions below and find out if you can use Qlucore on your data. For more details about supported data formats and data import see Data Import or Contact us with questions.